How in the world can a sprained ankle cause knee pain? Well, it’s actually quite simple. The first thing you have to remember is that the foot and ankle are what come into contact with the ground. If you cannot walk correctly, with good body dynamics, then other things up the chain get effected. The next joint up the chain is the knee joint. Now, do me a quick favor. Wiggle your ankle all around (if you have an ankle sprain, wiggle the good ankle). Can you see how mobile that ankle joint is? Now, go ahead and wiggle the knee joint the same way… Can you? Nope! The reason is very simple… the ankle joint is meant to be MOBILE. The knee joint is meant to be STABLE. By the way, the next joint up is the hips and those are meant to be mobile. Then, the low back and core is supposed to be stable and finally the upper back and shoulders are meant to be mobile. That is how the body mechanics work in a nut shell. And don’t take my word for it, try and move those areas around and you will see for yourself. Now, if you understand that the ankle joint is meant to be mobile and the knees are meant to be stable, then you will also understand that messing around with that the wrong way is not a good thing. In other words, you do NOT want to make the knees mobile. What happens if you do that? 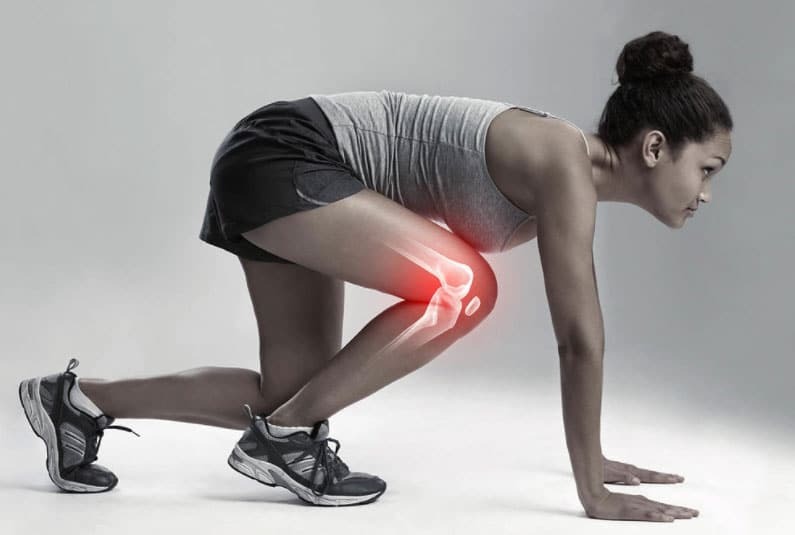 They’re called ACL and MCL tears and they occur about 100,000 times a year. And did you know that 70% of those are NON-CONTACT?! That means that people’s body mechanics broke down and lead to a serious injury without anyone touching them at all. Okay, so what does that have to do with the ankles? Simple… you want the ankle to be mobile, right? Well, when you get a sprained ankle, the ankle becomes immobile. That’s okay for a little while, because you definitely won’t be out there doing anything rigorous. But, what most people don’t realize is that they never heal their ankle properly. That leaves the ankle joint fairly weak and immobile. Then, they go back to sports and guess what? 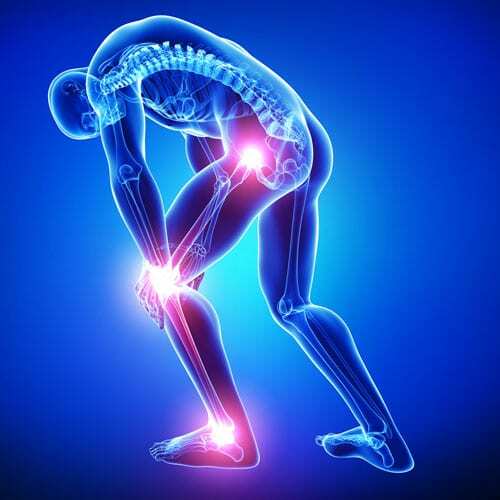 The knee has to compensate somehow for the ankle’s immobility by becoming more mobile and that can lead to a serious knee injury. Take the time to heal your ankle correctly. 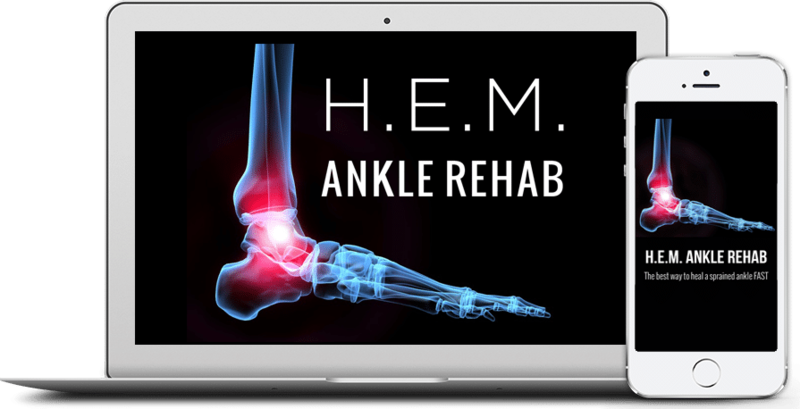 Follow a good sprained ankle treatment, either with a qualified physical therapist or at home with H.E.M. Then, make sure your ankle is good and ready before you get back to athletics or anything else rigorous that effects the ankles and knees. Make sure your ankle is good and mobile and also strong so it can move properly in all kinds of situations. Then, your knees will be much better protected and so will your ankles! And please, don’t use braces or wraps or tape on your ankles, if at all possible. Remember, you want your ankles mobile and strong and those things weaken your ankles AND make them immobile, putting your knees back at great risk! I know this is just a quick overview, but hopefully, you will understand why healing an ankle sprain correctly is so important. It affects everything above it too, not just the ankle itself!